When you find yourself dealing with missing teeth, you may wonder if there will ever be a solution that will work for you. After all, you may be self-conscious about the appearance of your smile and about what people will think of you based on your imperfect smile. If you are looking for a treatment option that can help you to fix this problem, then dental implants may be ideal for you. Get to know more about them so that you can book an appointment online for a consultation as soon as possible. Dental implants are the most permanent solution to your missing tooth problem. The implant itself is actually the part of the this dental prosthetic that you will not be able to see as it is beneath your gum tissue. Your natural tooth has a structure that consists of the tooth that you see as well as the root of the tooth that connects the external structure to the jaw bone. 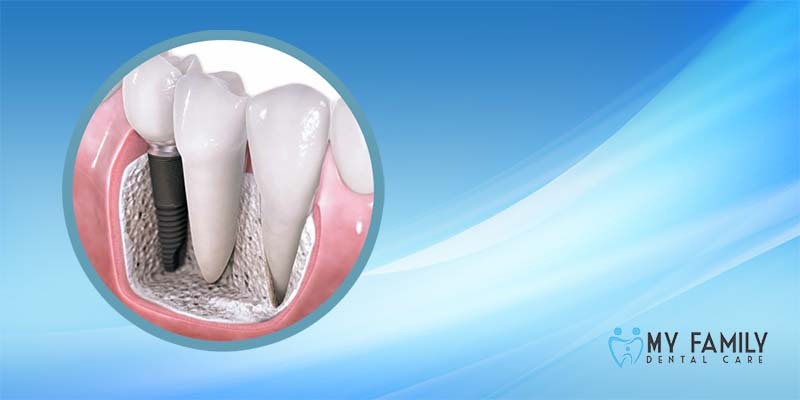 The implant is the replacement for the root of your tooth. The process of getting a dental implant involves having two pieces installed. The first is the implant. It is a screw-like device that is implanted into your jaw bone and is topped with an abutment just past the line of your gum tissue. Your dentist will then place a replacement tooth onto the abutment. The replacement tooth can be made of a composite resin, porcelain, or ceramic and is custom designed to match the structure and appearance of your natural teeth. Once these two parts are both implanted and placed, anybody who looks at you (and not even you) will be able to tell the difference between your natural teeth and your replacement tooth when looking at them. Now that you have a better understanding of dental implants, you can call or go online to book your appointment as soon as possible and get your smile back.